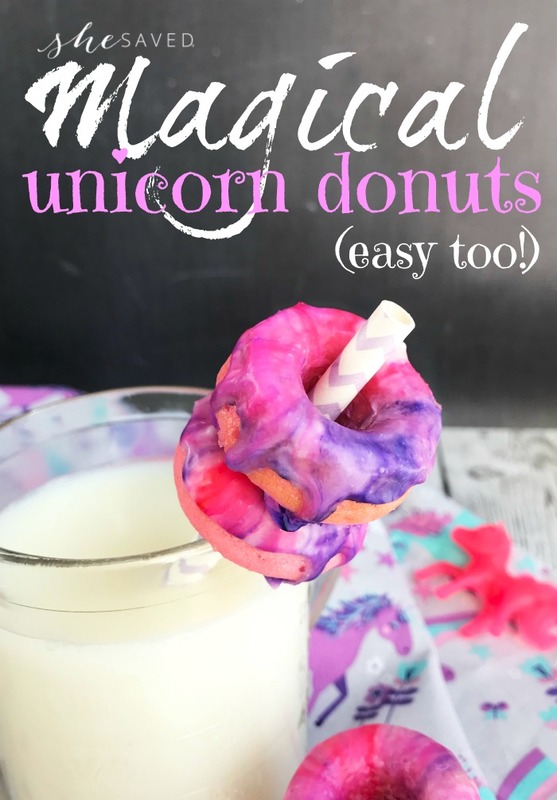 We are all about unicorns and rainbows over here and this Magical Unicorn Donuts recipe has been a huge hit. 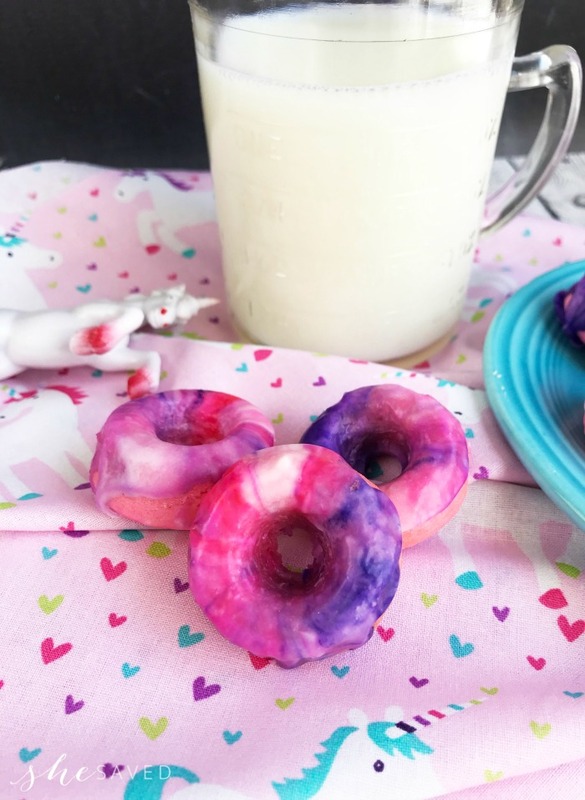 My daughter loves to make mini donuts and we think this fun recipe would be great for unicorn themed birthday parties or even fun for classroom party ideas. 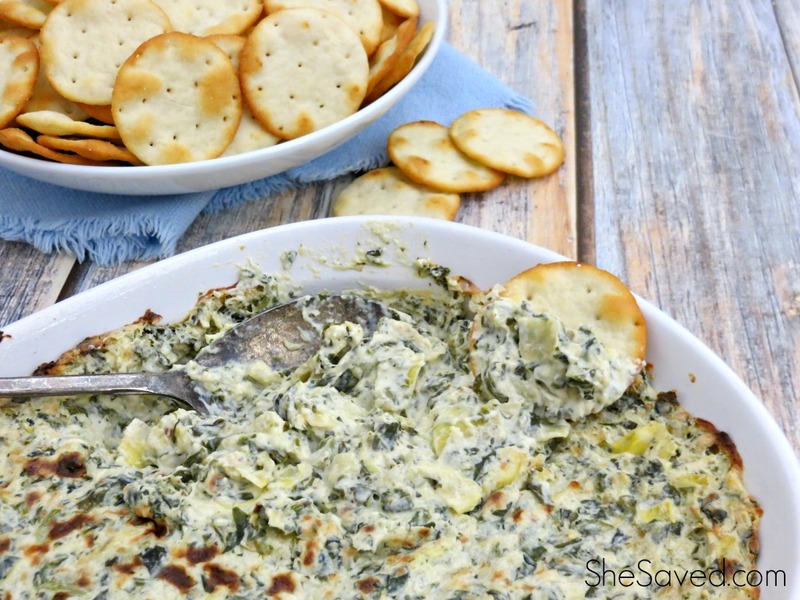 One thing that we love about this recipe is that it’s easy for kids to help with. 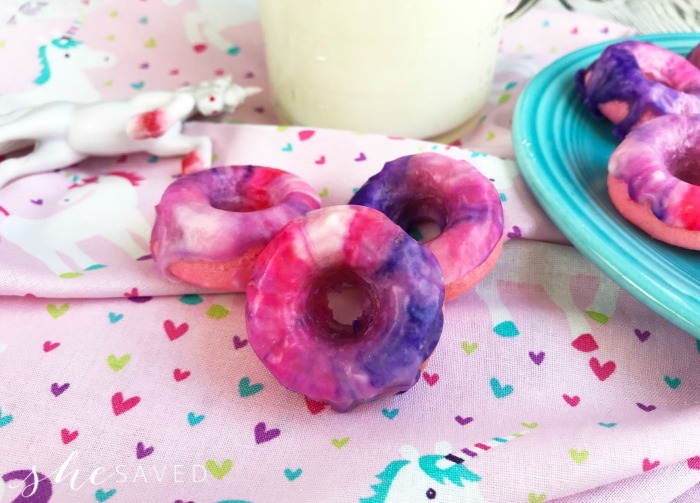 My daughter loves to make mini donuts and we’ve tried all kinds of frosting methods, but this is one of the easiest. 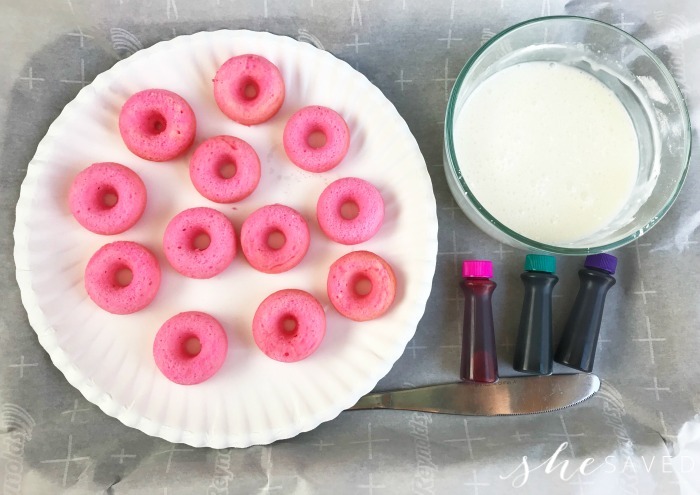 You can also obviously change this recipe up based on the color combination and donut flavoring that you would like and we’ve also even tried many different cake mixes. 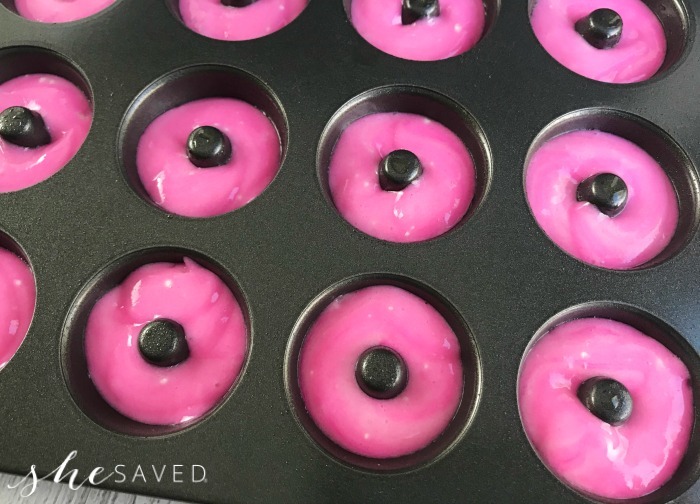 Preheat the oven to 350 degrees and spray a 12 count mini donut pan with non-stick cooking spray. Combine the cake mix, egg whites, oil and water. 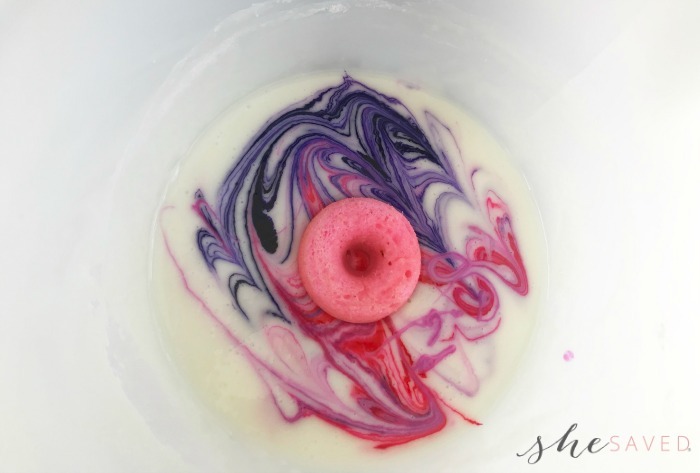 Add a few drops of pink food coloring to the batter and stir to combine. Scoop the batter into the large freezer bag. Snip the corner of the freezer bag and fill the mini donut wells with batter. Once the donuts have cooled, remove them from the donut pan and set aside. Combine the powdered sugar and creamer. Add 1 drop of each food coloring to the glaze. 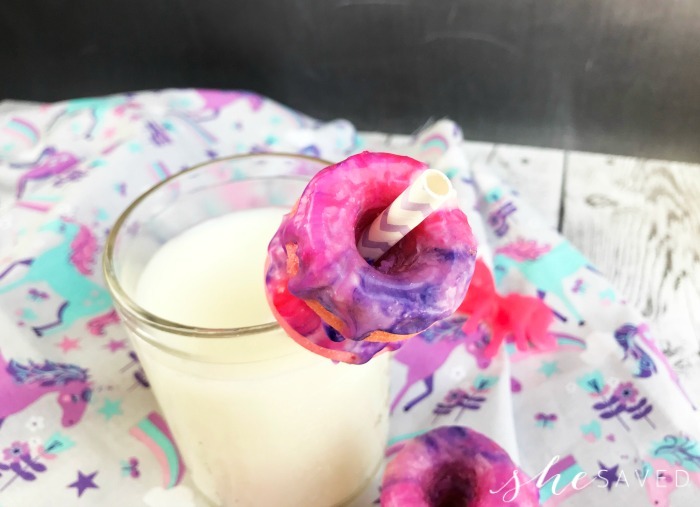 Use a toothpick to gently swirl the colors (be careful to not completely mix the colors together). Dip the donuts one at a time in the glaze and then add sprinkles. 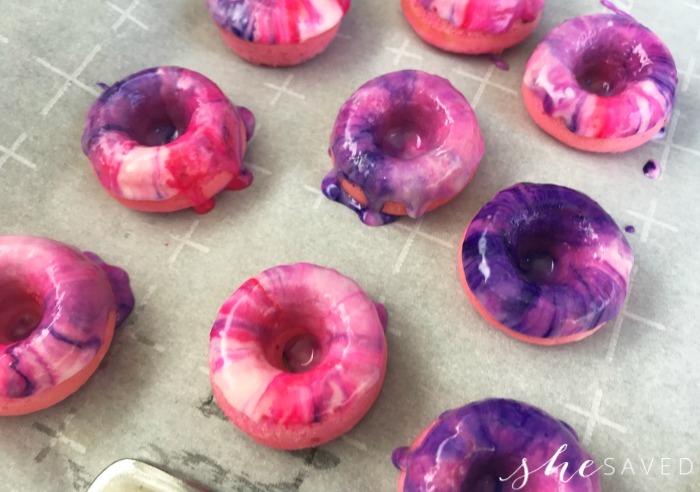 After dipping 2-3 donuts in the glaze, add another drop of each food coloring and gently swirl the colors. « Back to School SALE!! 40% OFF Best Sellers + FREE Shipping! 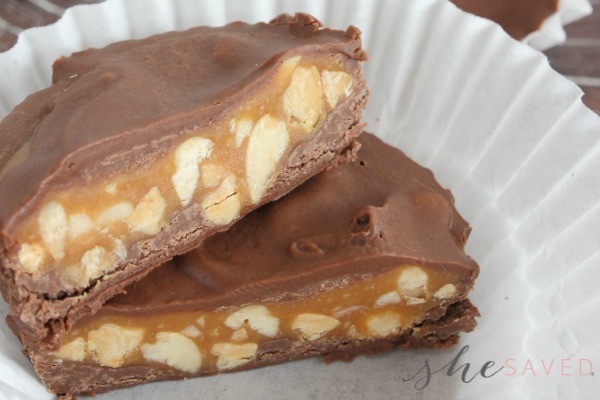 I do not know anyone personally who would not go crazy for these. Nice idea for party food too! See ya at Merry Monday this week!